can wander to these remarkable places, too. 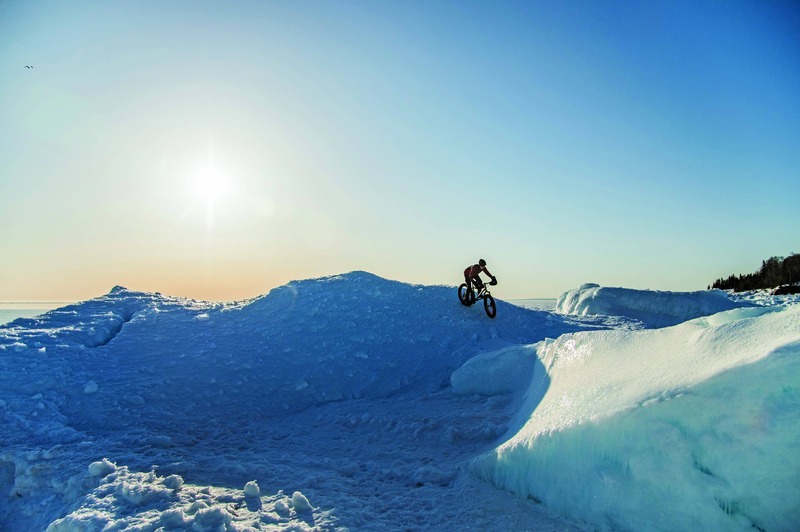 Near sunrise on an early day in spring—March 28, to be exact—Aaron Peterson headed out a quarter mile onto Lake Superior at Marquette to photograph Ryan LaBar rolling over the shore ice with studded tires and a fat bike. “We had lots of big storms last winter, just pushing these piles of ice four or five stories high,” Peterson says. LaBar had a blast on the icy moonscape, and Peterson kept shooting. The timing was right, because just days after the shoot, the spring sun shining in this photo worked its power. “The ice started breaking up, calving off, and it all started turning back into water,” Peterson says. Post-Shoot Sustenance: In Marquette, Peterson likes Tacos from the Dia De Los Tacos food truck consumed at Blackrocks Brewing. As winter ebbs, the ice begins to melt along the Lake Michigan coast, but ice ridges resist the thaw, running like a string of mini-mountains a hundred yards offshore. A chill night’s re-freeze creates this shimmery blue effect for a photographer like Robert de Jonge, who followed the twisty two-lane M-119 north of Harbor Springs to the minuscule village of Good Hart and then turned left on Lamkin to reach Readmond Township Park. 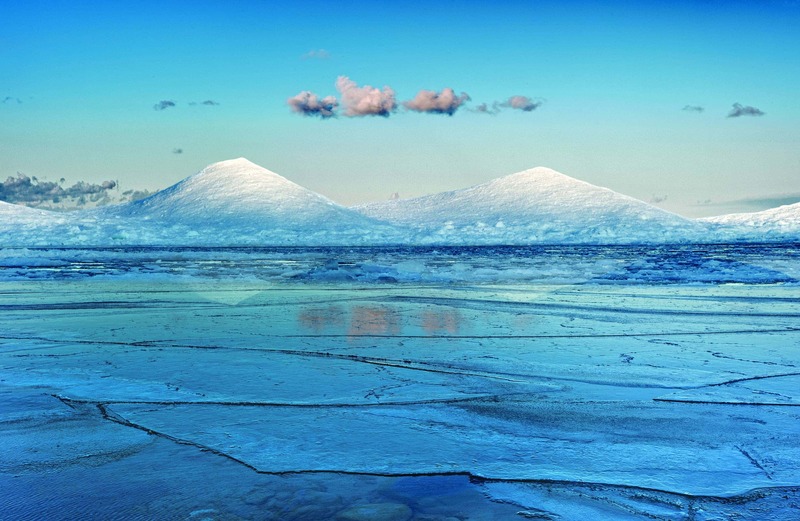 de Jonge captured this image near sunrise, just as the light illuminated the peaks of ice. Post-Shoot Sustenance: A pot-pie from the Good Hart General Store is De Jonge’s go-to for comfort food after a cold day of shooting north of Harbor Springs. 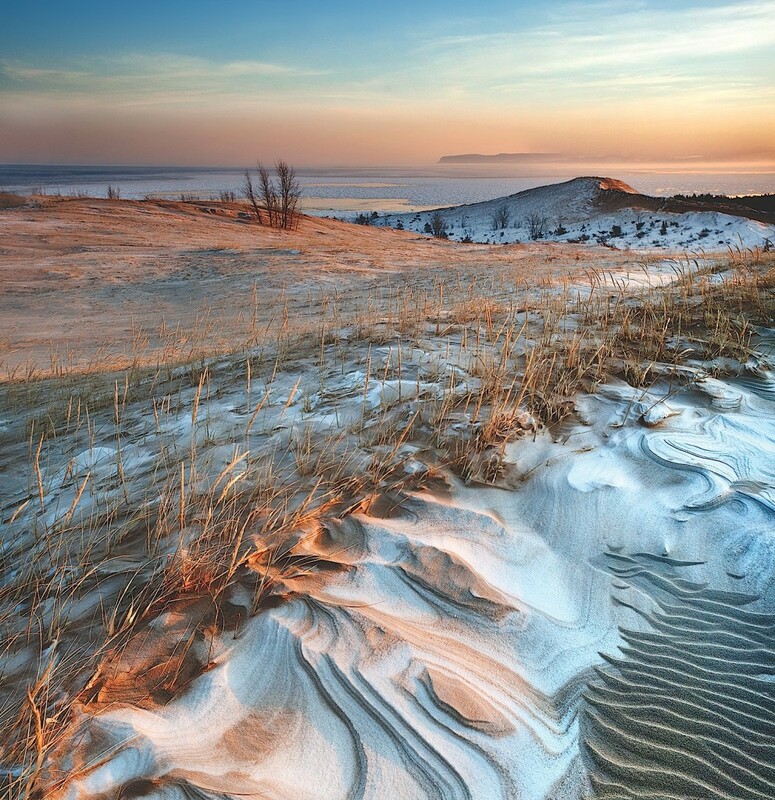 Winter gales off Lake Michigan pile snow and sand into layers, like strata of rock, and then that same wind carves the layers back, etching the drifts into swirled and sculpted echoes of southwestern landforms. Here, Robert de Jonge stood on Sleeping Bear Point, near the national park’s Dunes Trail, at daybreak and shot northeast across the bay to Pyramid Point. To get there, from Glen Haven, go west on Glen Haven Rd. to the parking lot at road’s end. 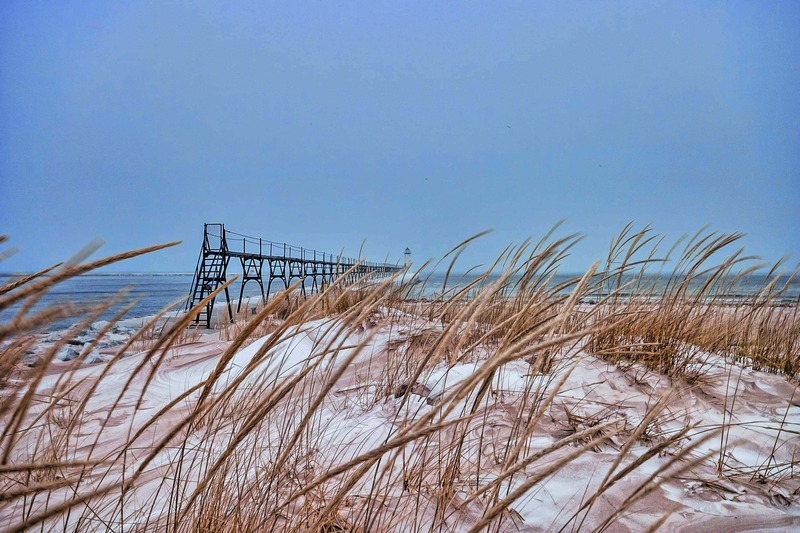 Follow the dune trail up into the dunes for vistas of the Manitou Passage and Manitou Islands. Post-shoot sustenance: In Glen Arbor, de Jonge opts for the Surf and Turf (smelt and a burger) at Art’s Tavern. It was a New Year’s Day rite that led Shane Wyatt to this image of the Manistee Lighthouse. Each year, he and some friends kick off the new year by renting a condo somewhere along the Lake Michigan shore, a tradition that also involves a morning walk along the beach. 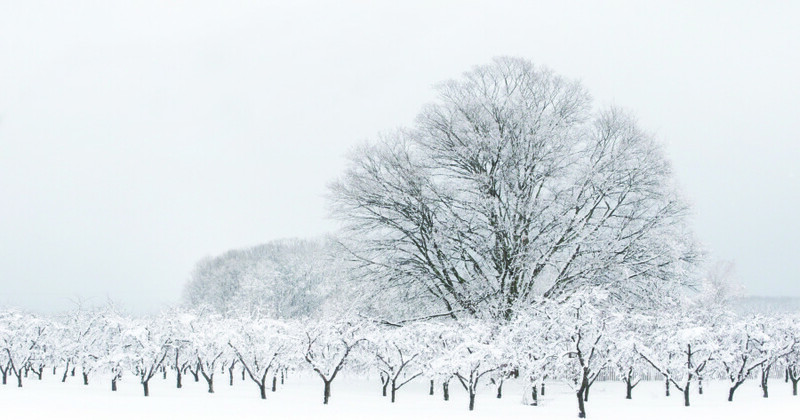 But the year Wyatt’s posse chose Manistee, January 1 began with a snow storm barreling in off the big lake, and everybody but Wyatt opted to stay cozy indoors. We’re glad Wyatt bundled up, because we can all enjoy the result. 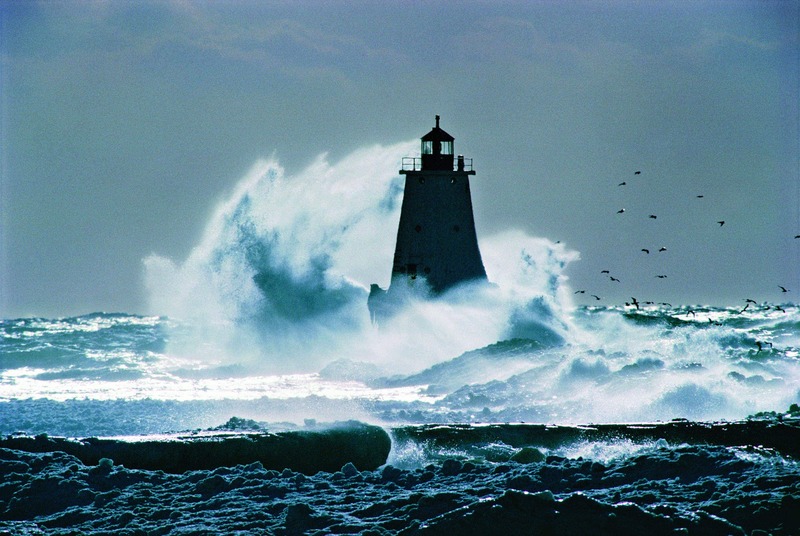 Note the Manistee light’s distinctive elevated walkway—installed so lighthouse keepers could man the light even when storm surge was smashing over the pier. Post-shoot sustenance: In Manistee, for breakfast, Wyatt likes House of Flavors, later in the day, he warms up at the Northside Bar with a burger, a beer, game of pool and, of course, a favorite tune on the jukebox. Post-shoot sustenance: Lindsay likes to warm up at Dinghy’s, on Frankfort’s Main Street, for the choice of sandwiches, the coffee and the sense of Great Lakes shoreside community. 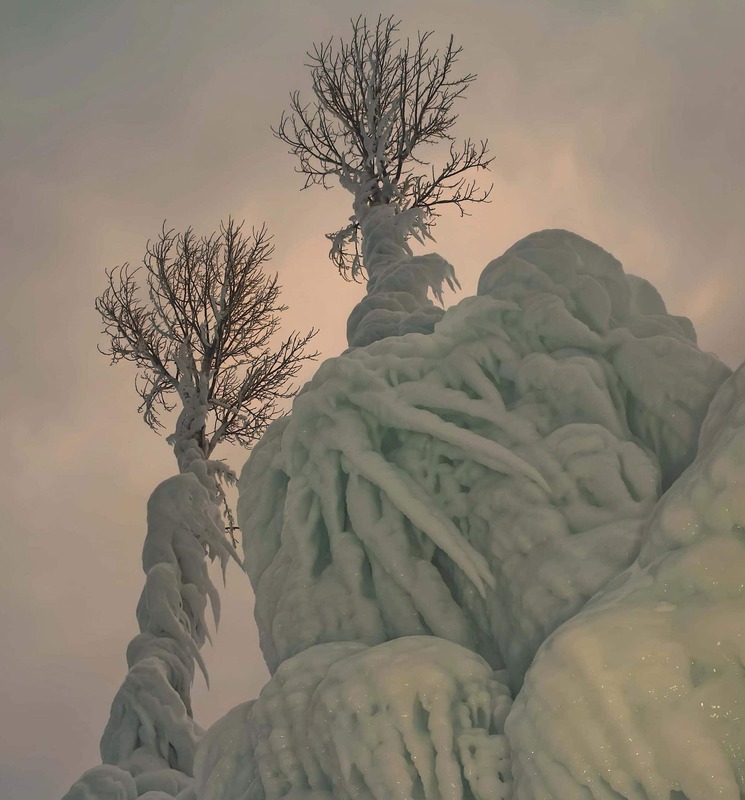 When driving home after shooting the loppet story in the 2014 February issue, Beth Price glanced across Little Traverse Bay where US-31 curves through Petoskey, saw this scene and had to shoot it. The storm that had dumped marvelous snow on the loppet skiers all day was about played out, and the promise of clear skies appeared on the horizon. “There’s so much beauty around here, I pull over all the time. Some days are so dramatic, I can only travel a few miles before I have to stop again,” she says. for the Awesome Chicken Sandwich and a cup of coffee. The message on Peterson’s Facebook said, “We’re gonna go deep. Look for something epic. Do you want to come along?” The rendezvous was daybreak, about 8 hours later, so Peterson wrote “yes,” and proceeded to pack his gear. 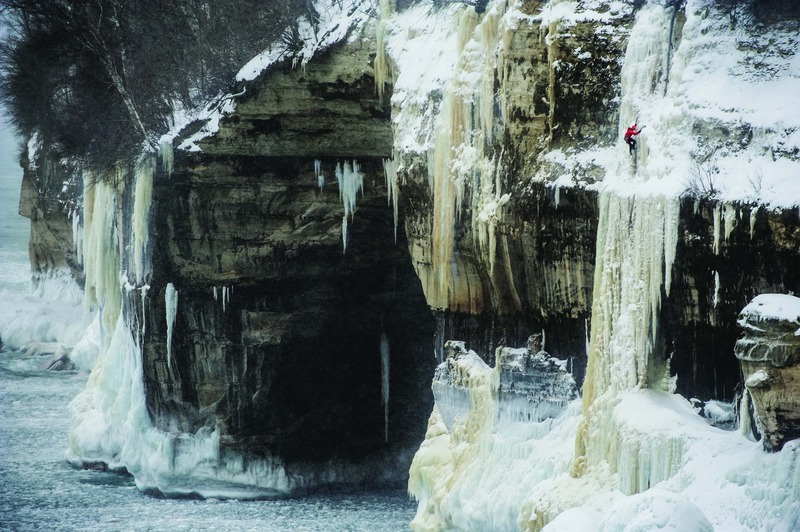 The two ice climbers—Nick Dobbs and Ross Herr—who’d left the note and Peterson skied six miles to the Pictured Rocks shore and laced up a top-rope. As the climbers rapelled over the edge, Peterson hiked around the rim and set up for this dramatic shot that captured Dobbs scaling the frozen ooze of the national park shoreline between Mosquito Beach and Chapel Beach. Post-Shoot Sustenance: Peterson likes Johnny Dogs, for top-notch hot dogs in Munising, but says the hangout for ice-climbers is Sydney’s. with a Bowers Harbor pinot noir. Ludington’s Todd and Brad Reed live to photograph storms. 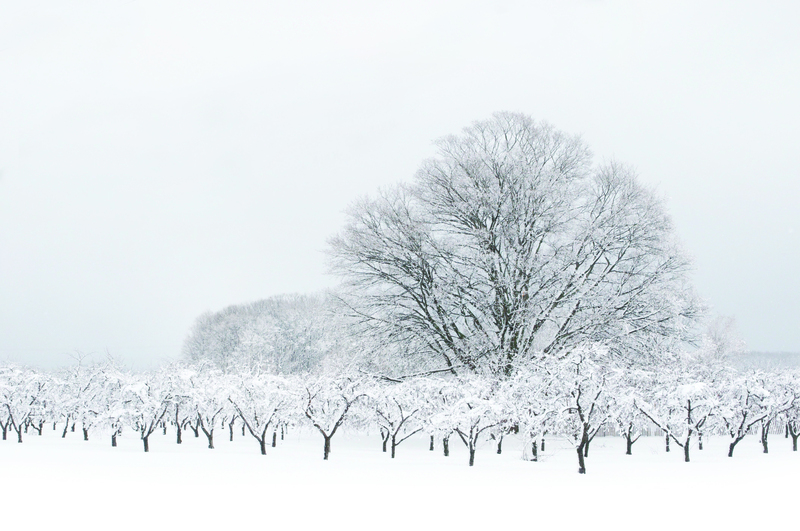 To get this image, Todd and his son Willie watched a February storm for hours, capturing shots during lulls in the blizzard. As sunset neared, Todd prayed for what he calls “storm light.” If the magic light arrived, it would appear shortly before sunset, and only if the sun could find its way through, or beneath, a band of boiling clouds skirting the western horizon. 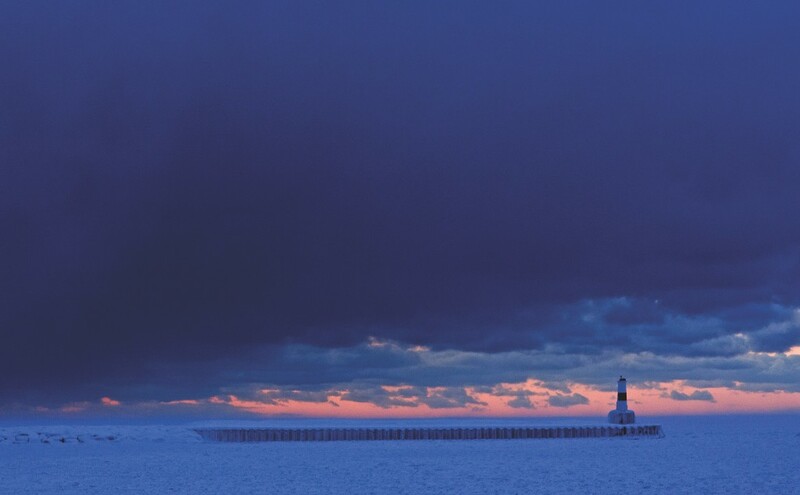 Then, just as Todd had hoped, sunlight broke from beneath the clouds, back-lighting the waves and the Ludington lighthouse. Rewarded by perseverance, and oblivious to the gale winds pummeling them, Willie and Todd watched as the mystical light and lake’s fury coexisted. Post-Shoot Sustenance: Todd likes to warm up with black coffee and a potato-stuffed Helen’s Omelet at the Old Hamlin Restaurant in downtown Ludington.